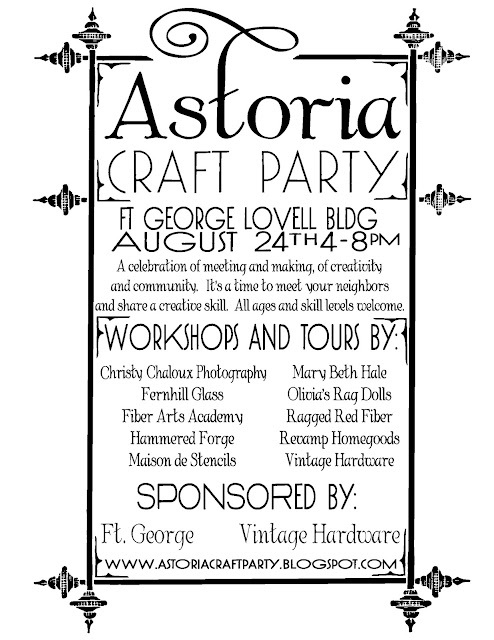 We are well underway with plans for the first ever Astoria Craft Party on August 24th from 4-8 pm at the Fort George Lovell Building. 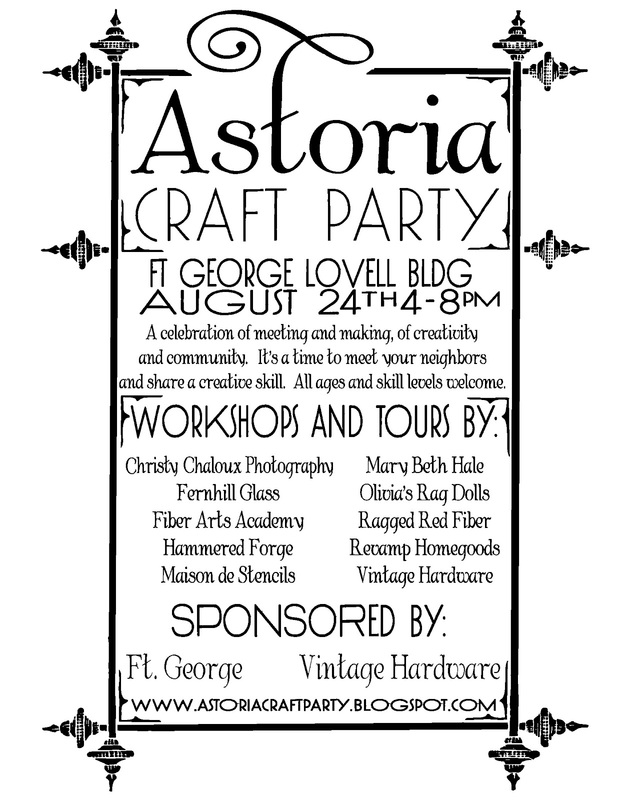 For more details, check out AstoriaCraftParty.blogspot.com. Hope to see you all there!